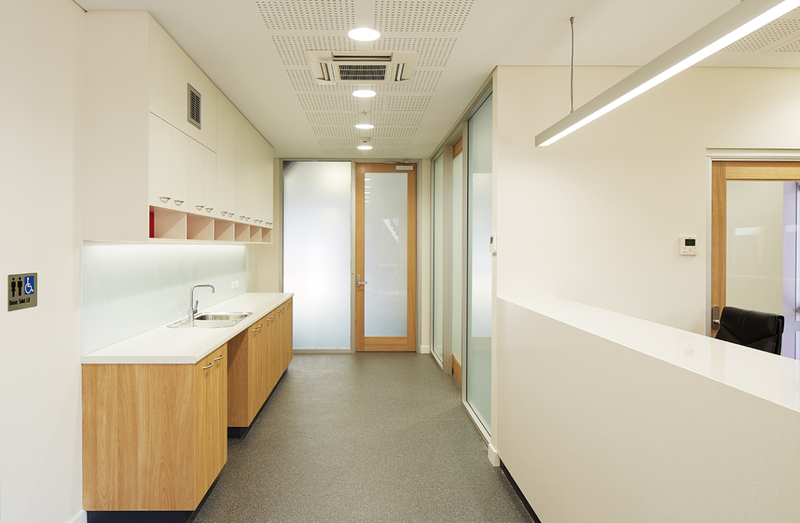 The upgrade of the lower floor of the existing Administration Building at La Salle College in Middle Swan, Western Australia, included a strip out of decades of building additions, the provision of new services, new Public and Student Reception areas and new Administration offices. The new entries provide improved access, visibility and a welcoming arrival for visitors to the campus. 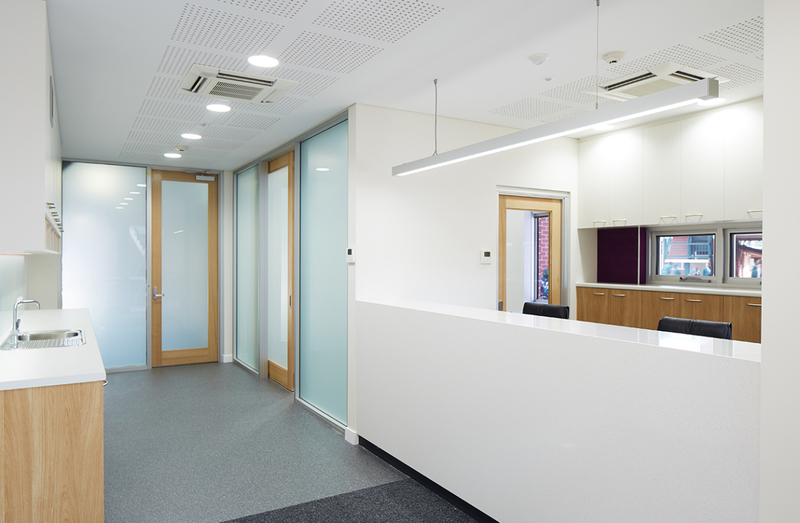 The design is welcoming, open and contemporary, employing clean, modern lines to help provide a comfortable and relaxed environment for staff and students. Durable and natural materials have been utilised, including warm timbers and muted tones. Offices and work areas have a high level of transparency to promote better collaboration and access to natural light. Sustainability was achieved through re-use of the existing building mass complemented by an upgrade of the inefficient services.